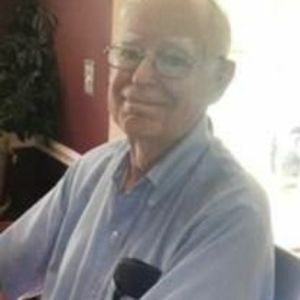 John Ewald Sasseen passed away Thursday January 11, 2018. He was 88 years old. John was born in Montclair, New Jersey on March 24, 1929. He is survived by his 4 children John J. Sasseen of Benton, PA; Mary L. Sasseen of Raleigh, NC; Carol R. Sasseen of Raleigh, NC and Thomas G. Sasseen of Chapel Hill, NC. He is also survived by six grandchildren Thais Pratt of Raleigh, Thea Sasseen of New Orleans, Sharon Pratt of Raleigh, Ben Pratt of Baltimore, Caitlin Sasseen of Mercer and Kenya Sasseen of Raleigh. He is also survived by six great grandchildren. He was preceded in death by his beloved wife Juliette A. Sasseen and his grandson Chuck Pratt. Viewing will be at St. Francis of Assisi, 11401 Leesville Rd, Raleigh at 12:00 followed by the service at 1:00. Burial will be at Raleigh Memorial Park directly following the service. There will be a celebration of John's life following the burial at his home at 5117 Bellow Street, Raleigh NC.